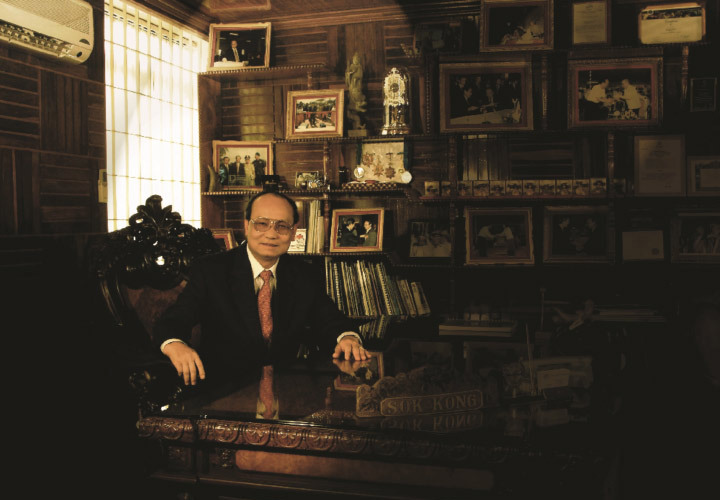 Prior 1990, Neak Oknha Sok Kong, the founder of Sokimex honed his business acumen producing rubber tires and specialized in rubber processing for Cambodia’s then major export industry. And then in 1990 when Cambodia returned to the free market system, Neak Oknha Sok Kong modestly started an import & export company primarily exporting agricultural produce and importing foreign goods to meet the local market demand. From then onwards, Sokimex has never looked back and is today one of the leading corporate players in shaping Cambodia’s economic future The main success venture that propelled Sokimex to what she is today is petroleum. As Cambodia's set out on the path of development, fuel supply became ever more vital. Neak Oknha Sok Kong's visionary mind coupled with his optimistic courage led him to dive into the petroleum industry without much hesitation. In the process Sokemex has not only establish a strong fuel distribution network across the country but invested in building petroleum storage facilities, warehousing and petrol stations. Today, Sokimex is the largest petroleum company with her own jetty with a capacity to handle oil carriers up to 46,000 tons, 5 storage terminals, have more than 300 petrol stations and a complex petroleum transport systems to meet the nation’s demand. Always in tandem with the government’s policy, Sokimex took off with the Royal Governments privatization policy by purchasing the state-owned oil company CKC in May 1996. The deal included taking over CKC company’s headquarter, Russey Keo Oil Storage and Sihanouk Ville Oil Storage facilities. Sokimex has always endeavor to maintain high standards for her products and management system. That is why Sokimex sough to import only high quality fuel products from countries with established refinery facilities like Singapore and Thailand. Sokimex’s runway success in the petroleum division was not easy due to strong competition from both local and abroad. Organizational strength and prudent financial management were vital prerequisites that Sokimex excelled in. With the great success of its petroleum business, Sokimex has gradually expanded its business operations into many other fields, such as garment factory, tourism & hotel insdustries, and real estate. At present, Sokha Hotel Co.,Ltd, a subsidiary of Sokimex Investment Group is the largest local hotel company of Cambodia.